Are People Really Getting Business From LinkedIn? I got a call from a local newspaper columnist friend of mine who checks in with me when his latest story needs a LinkedIn angle. He knows I am always good for a quote or two. For this particular piece, he wanted my take on if Linkedin users are actually developing new paid business from their efforts on the site -- and specifically, how are they doing it? Well, that would be the 64-dollar question, would it not? The short answer is yes. Yes, people are getting business from LinkedIn. Success stories of professionals who have leveraged LinkedIn to great extent are on the rise. 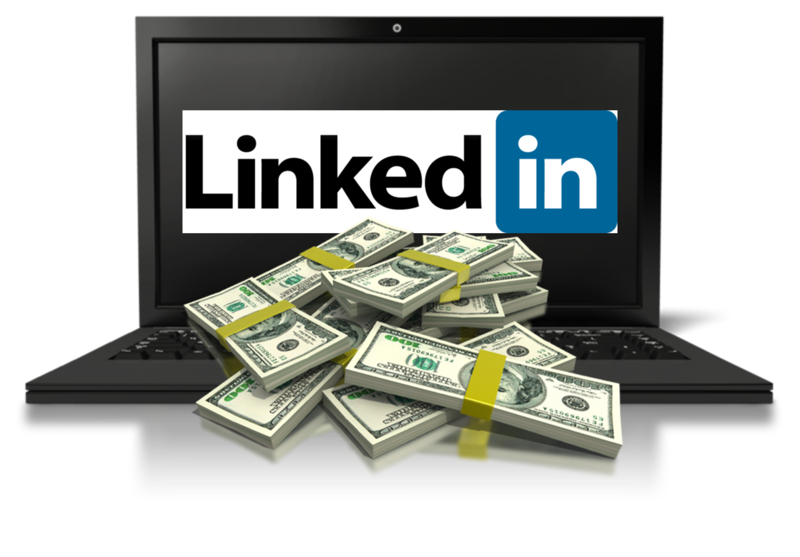 I have learned that revenue generated from LinkedIn use is tied to a personal philosophy of continuous improvement, good decision-making, and effectively managing relationships. Oh, a stellar LinkedIn profile also helps. "Have you ever generated business from LinkedIn?" remains a popular poll question, one for which a straight "yes" or "no" answer is required. But those who arrive at an understanding of how LinkedIn works know that there is so much that rides beneath the surface of a binary approach. A sampling of responses from a confined community expressed as a percentage does not do the question justice. First, our parameters have to be defined. We need to be in agreement as to what "getting business from" actually describes. For purposes of this discussion, it means that the business (a transaction, an exchange of funds, turning a profit, etc.) would not have been possible if not for LinkedIn acting in some way as the intermediary. In that context, perhaps either "getting business because of" or "getting business as a result of" LinkedIn is the more appropriate term. Choice of syntax notwithstanding, the business derived is a classic demonstration of cause and effect, traceable to efforts carried out on the site. Second, our subjects for analysis have to be established. Let's concentrate on LinkedIn users who are charged with producing new streams of revenue from their individual and corporate marketing and sales efforts. This leaves many classes of professionals out of the equation. There are countless people who occupy cubicles, shuffle papers and receive a payroll direct deposit every two weeks. These folks have no role in developing new business; their focus is solely on protecting their turf. The content in their LinkedIn profiles is scant, their networks are small, and their inboxes -- often swollen with unanswered invitations to connect -- are left unattended. Additionally, you have those in and around career transition -- i.e., job seekers (both active and passive), recruiters, hiring managers -- whose mission on LinkedIn is not focused on locating transaction partners per se, but on the acquisition of an employment opportunity. Recruiters, of course, have strong financial motivation in using LinkedIn. They get paid when they place candidates in positions and generate revenue through their regular use of the site. And whereas LinkedIn is an integral component of a recruiting business, recruiters leverage it in entirely different ways than client facers or those who prospect for new business. Finally, our indicators have to be reliable. How will we address certain variables, such as the amount of time spent on the site, social networking style, network size and level of commitment? I could throw a lot of statistics at you here, but there are so many discrepancies and intangibles that lie outside the numbers. In order to gain an accurate assessment, you would have to dissect each global Internet sector, consider each variable within industries and market segments, and interview millions of business development professionals regarding their use of LinkedIn. Who on earth has the time for that? As I have often stated, LinkedIn is an input-equals-output proposition; yet for a society bent on instant gratification, the idea of actually having to spend time and energy working a website without reward can lead to self-defeating behaviors. A major reason why many users are not profitable on LinkedIn is that they are not taking action on what might prove to be fruitful. Although they may be generating lists of potential new leads or researching key professionals in target companies, they are not doing what they need to do to truly develop the business. They cannot make the subtle shift in their online conversations that will consummate the transaction. Or, they give up altogether. 1. Your LinkedIn profile is the epicenter of social business development. Your potential to develop new business on LinkedIn is directly attributable to the favorable perceptions of others upon their review of your LinkedIn profile. 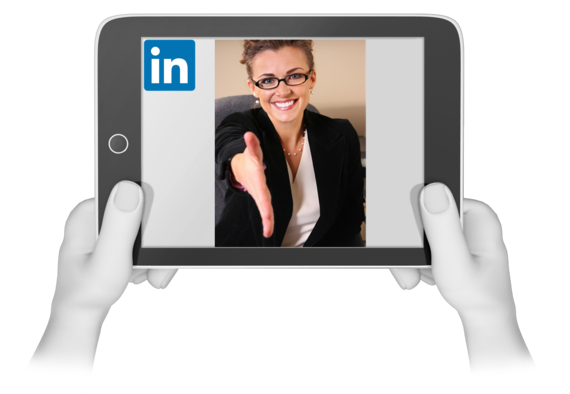 Your LinkedIn profile holds up a mirror in which you see your professional value as you would like others to see it. If you are to be taken at your word on this document, your reflection must be accurate. If you represent ambiguously, or operate anonymously on the site, you will not find yourself in many LinkedIn-generated transactions. Your Professional Headline must be opportunity-specific and outcome-driven. Your Summary section must extol your virtues, provide evidence of your expertise, and give would-be clients a strong mental image of the benefits of working with you. Well-written recommendations boost your credibility and reinforce your collaborative approach. 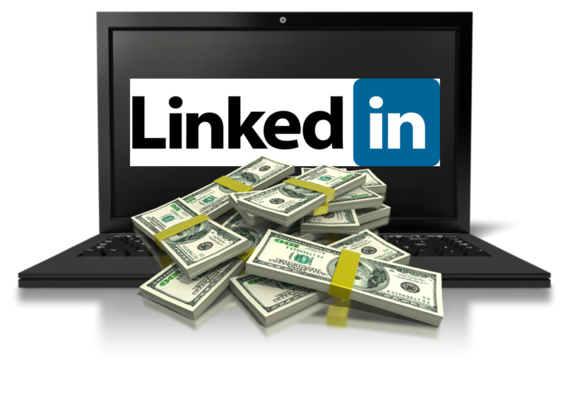 Keep in mind that the eyes of the business world are coming to LinkedIn first. Is your LinkedIn profile ready for prime time? 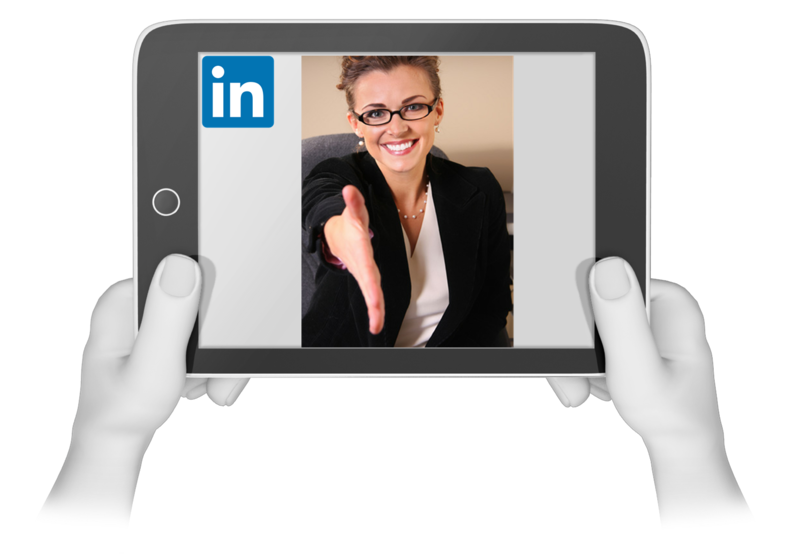 Ask those whose opinion you value if you project an image of trust in your LinkedIn profile. If you are not portrayed as competent, or fail to attract and engage visitors, then you will always be operating at a deficit on LinkedIn. Without the right keywords in the appropriate density, you will never be found. If your headshot is absent, unprofessional, lacks energy, or does not exude confidence, you cannot expect to drive real world business. Minus a clearly articulated call to action, there is no sense of urgency for potential transaction partners to contact you. Finally, on a medium that is becoming more visual, it may be time to consider uploading a video marketing piece or three. Convince people that the skills and expertise you are declaring can be demonstrated in the real world. Speak to the pain points your prospects experience and assert yourself in their minds as the logical choice to alleviate them. 2. If knowledge is power, then applied knowledge is revenue. If you are going to get business from LinkedIn, you have to become an astute observer of trends, patterns and online behavior. Since I began this work, I have studied how people comport themselves on LinkedIn and watched the ebb and flow of social networking. My observations have led me to many realizations about the human condition, and have helped me better serve the needs of those who engage with me. In turn, I have gleaned invaluable insights into how LinkedIn can be leveraged by anyone wishing to achieve a business goal. The more time and energy that you devote to LinkedIn, the more competent you become on the site, the more knowledge you acquire, and the better equipped you will be to capitalize on opportunities as they present. It is only when you apply your knowledge -- about people, companies, your industry and commerce in general -- that the possibility of a transaction emerges. Start with your existing professional network. Throughout the years, you have gained familiarity with the names, some having become more real to you through repeated sightings on your home page. Perhaps you have received a "like" when you updated your LinkedIn profile, or an endorsement for a skill that you actually have. The upshot here is to view your LinkedIn network as a true community, one that only you could have created. Learning as much as you can about the people who inhabit it will guide your actions in bringing in new connections. Leverage this knowledge by initiating a conversation. Start to build equity into the relationship. You may discover that certain people need what you have to offer. 3. You discover your influence in important online interactions. You cannot monetize your efforts on LinkedIn until you influence someone to take action with you. Our fate in business today is dictated by the quality of our professional relationships. If you are merely socially networking for sport, hoarding LinkedIn connections, or are more interested in branding as a LION, then your outcomes will fall far below your expectations. When nestled in the pith of your comfort zone, you will not take chances or extend yourself. It is easy to lay back. But if you have intent, purpose, and conviction in the way you exchange with others, the right words will come to you -- those for your LinkedIn profile and in your real world exchanges. You will meet more people who share your core values and want to engage with you. You will discover your influence. Not everything you do on LinkedIn will generate leads and not everyone with whom you connect will enter into a business dialog with you. The key is to recognize and prioritize opportunities. Whether you are inviting people to connect, requesting a recommendation, or trying to obtain an introduction to a decision maker, moving people to action is the sine qua non of success in social business. It is not only what you say, but how, when and where you say it that will advance you steadily toward your desired outcome. When you interact in a respectful fashion and appeal to people's sensibilities, you will keep them interested. They will be more receptive to your business overtures. At the end of the day, all we are really looking for is a willing and welcoming pair of ears. From my perch, I can confirm that people whose focus is on business development are cashing in on LinkedIn. They are leveraging the community at-large, merging their networks, and forming partnerships. As a result, they are marketing more powerfully, selling more products, and providing more services. You can, too. All of the in-between pieces (e.g., getting found in search by potential clients, generating leads in the groups, building a thought leadership platform, acquiring referrals, etc.) fall into place when you continuously integrate LinkedIn process into your daily regimen. But unless you change your behavior and manipulate your environment in some way, your expectations of producing business via LinkedIn will fall sinfully short.